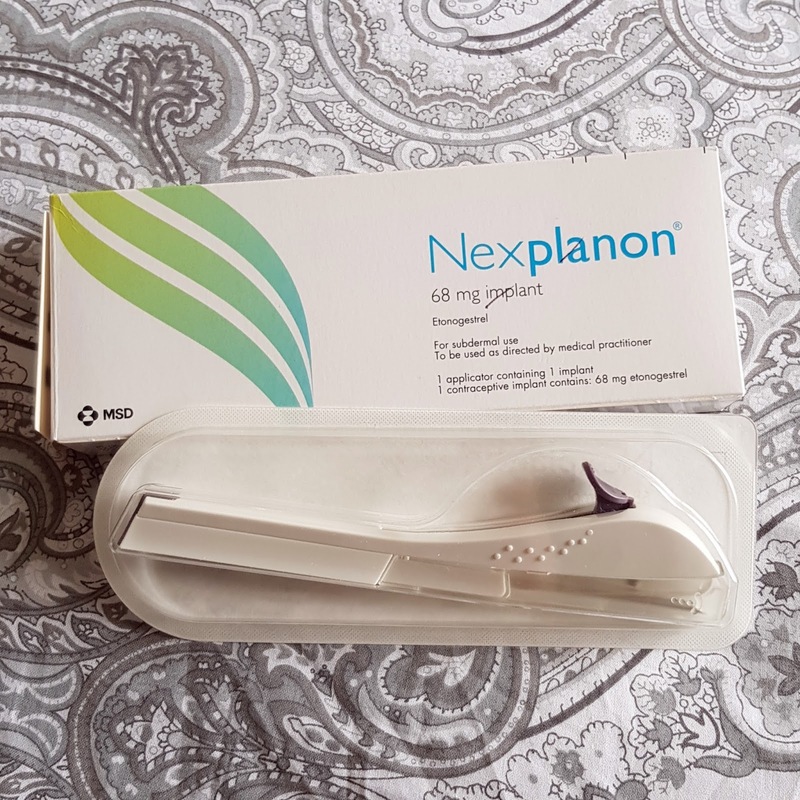 I mentioned on my "Consultations and progress" post that my new consultant wanted me to give the implant a try as the next treatment option for my endometriosis, even though my doctor didn't think it would help because of everything I've tried previously. I'd been super worried about having this. Not so much because of the pain or nerves over whether this treatment would help or not... Actually it was over something which might sound really superficial and silly. I'm really worried about the side effects and mainly whether this causes my acne to get bad again. I've just worked really hard over the last year or so to get my skin looking OK again and I really do not want it to look how it did before again. But also, it's this thing with having something in me that shouldn't be. I had exactly the same feelings about the Mirena coil. That feeling that I'm having to depend on someone else to choose whether to take it out or not if it doesn't work or something goes wrong. That feeling that I have zero control over this thing. There is this major overhanging doubt about it working also though. I've tried all manner of contraceptives and hormone treatments over the last 18 years and not a single one of them has worked. I mean, even the doctor doesn't think this will work... But, I have to try it don't I? I have to give everything a go, right? To me, it just seems like a big waste of time. Putting my body through more undue stress for what? Just another big "I told you so"? The actual procedure was fine. The needle looked like a spear it was so big and I have to admit that I was a bit scared! My doctor explained that contraceptive wise I would be fully covered in 7 days though that's not the reason I'm having this. We also spoke about taking a progesterone pill alongside the implant if I get breakthrough bleeding and she is fully happy to try that but she wants to see how the implant is working for me first and then if I do try a pill alongside it then it will only be for a short time and not for the duration of the 3 years that I have the implant in for as again, she'd like to see how my body is responding to the implant. I had to lie down on my back with my left arm (left arm as I'm right handed) bent out and upwards. She cleaned the area of my upper arm that the implant was being placed in and then she numbed it with a local anaesthetic. This was actually the painful part as she had to put quite a bit in to my arm and in a few places. Once that had taken effect, I couldn't feel her put the implant in - just a bit of pressure. It's been about 4 hours now and my arm is still numb! She let me feel the implant but explained to me how some women like to fiddle around with it and that can lead to it moving but even the thought of that made my stomach turn and when I touched it, well, I don't think I'll be doing that again! It felt like a hard tube/rectangular shape below the skin, but yeah, it's all a bit too icky for me! You'd think after all the things I've been through with my health I would have a stomach of steel but nope! I think I'm getting more squeamish as I get older! 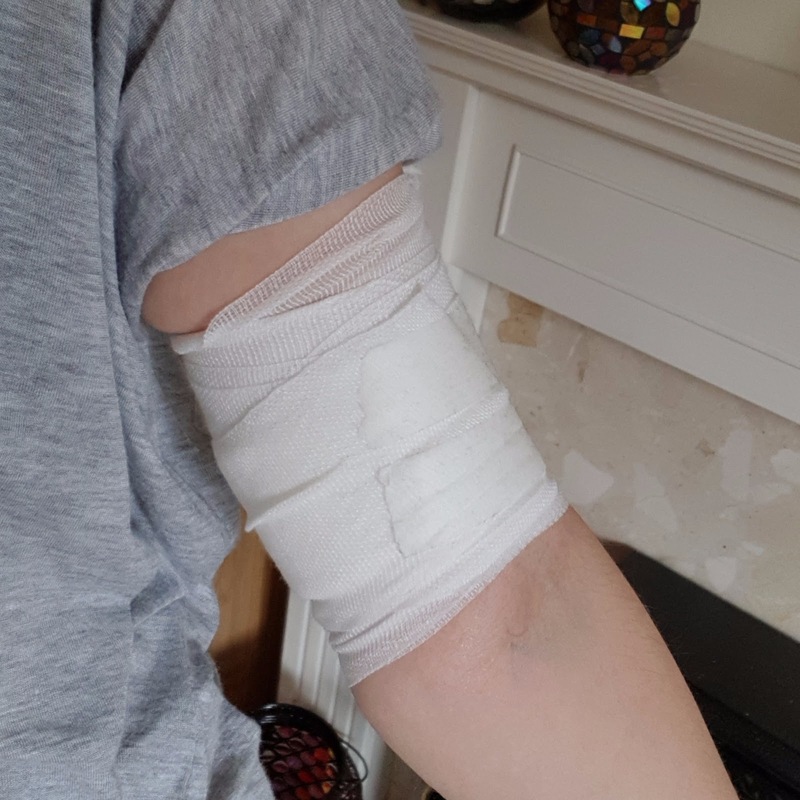 My arm is now wrapped up with a bandage and I have to keep it wrapped and out of water for at least 24 hours but preferably 48 hours if I can, so no showers for the next few days, only baths. The bandage is to prevent bruising more than anything else but as I bruise like a peach, I'm pretty sure it'll be pretty colourful under there. So that's my update on it all for now. I've just, as always, got to see how it goes and it's up to me if I have any further medication if I can't deal with the bleeding. My appointment for the consultant came through for January 2018 which is just over 4 months away now so.... Let's see how this one goes.